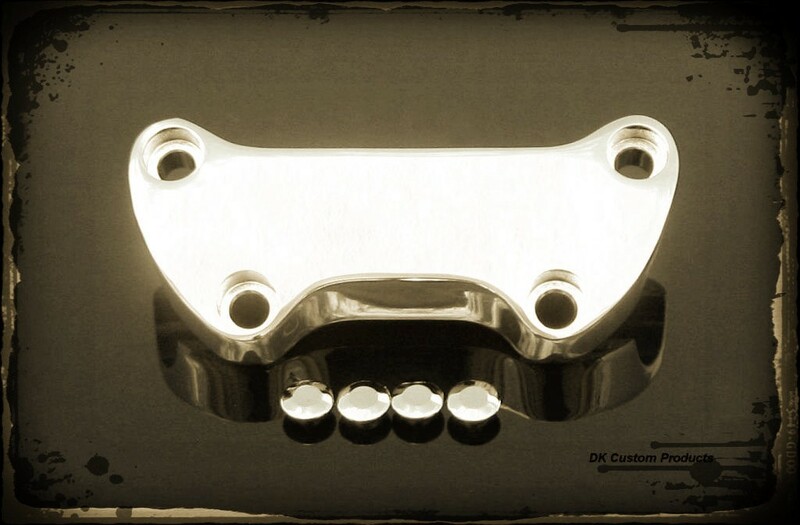 This Smooth Chrome Top Clamp is perfect for Sportsters that have Speedo relo's where the stock speedo and indicator lighs are built into the Top Clamp. It will also allow for easy fitment of the Indicator Light Bracket that comes with Heavy-Duty Stand-offs that slide into the Top Clamp. These Stand-offs keep a space between the Bracket and the Top Clamp to prevent finish damage. Stock top clamp bolts will fit. Also available in Black Powder. Fitment Note: There are a couple of handlebar clamps that Harley has made that these will not fit on. Measure the distance between the two bolts closest to the tank, center to center (of the bolts) is 2 3/4", and center to center on the top bolts is 4 1/4".